Pears in the home orchard can be delightful. The trees are pretty and produce spring flowers and tasty fall fruit that can be enjoyed fresh, baked, or canned. 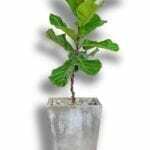 But, if you live in a cold climate, growing any kind of fruit tree can be challenging. 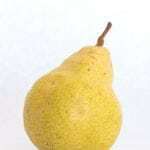 There are, however, some pears for cold climates; you only need to find the right varieties. Flemish Beauty. This is an old European variety of pear that is known for its sweet flavor. It is large and has a white, creamy flesh. Luscious. Luscious pears are medium to small in size and have a firm texture and a flavor similar to that of Bartlett pears. Parker. Also similar to Bartlett in flavor, Parker pears may be borderline hardy in zone 3. Patten. Patten trees produce large pears that are great for eating fresh. 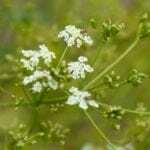 It is somewhat self-pollinating, but you’ll get more fruit with a second tree. Gourmet. Gourmet pear trees are fairly hardy and produce a tasty fruit, but they won’t pollinate other trees. Golden Spice. This cultivar doesn’t produce the best fruit, but it is hardy and can serve as a pollinator for other trees. There are even some varieties of pear that can be grown in zones 1 and 2. Look for Nova and Hudar, New York-developed pears that can grow in Alaska. Also try Ure, which is one of the hardiest of all pears. 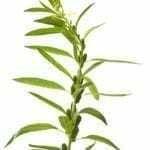 It grows slowly but produces a tasty fruit. Pear trees are generally easy to grow because there are not too many pests or diseases that trouble them. They need pruning and patience, as they won’t produce for the first few years, but once established, pear trees will produce prolifically for years. 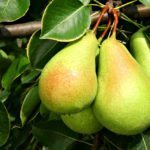 Pears that grow in cold climates may need a little extra protection in the winter. Young pear tree bark is thin and can be damaged by sunscald in the winter when there is no foliage to protect it. A white tree wrap around the trunk will reflect sunlight away to prevent damage. This can also stabilize temperatures around the tree, preventing it from freezing, thawing, and splitting. Use a tree guard in the winter months for the first few years, until your pear tree has grown thicker, scalier bark.